The money will be used to deliver programs which aim to enhance the mental well-being of people dealing with drought. 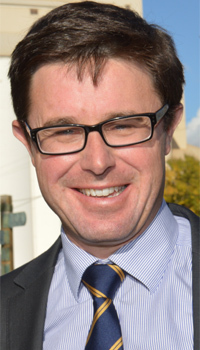 “Families, farmers and business owners are put under immense mental strain because of drought,” Agriculture Minister and Member for Maranoa David Littleproud said. A total of 25 community-led programs and events, administered by Darling Downs and West Moreton PHN, will encourage conversation and best practice regarding mental health challenges, suicide prevention and social and emotional well-being. “In order to get on top of mental illness we need to be proactive and engage with mental health professionals and participate in well-being sessions – there is no judgment in that,” Mr Littleproud said. Lifeline Darling Downs and South West Qld will also receive extra funding to train local residents so they can support people affected by mental illness. The program, called Community Connections, will teach participants how to recognise people dealing with mental stress and provide guidance about professional support choices. “During drought we really need to be actively listening and watching what is going on with loved ones, colleagues or friends,” Mr Littleproud said.